GATEFOLD003 is a tri-fold gatefold brochure that measures 216mm x 343mm. 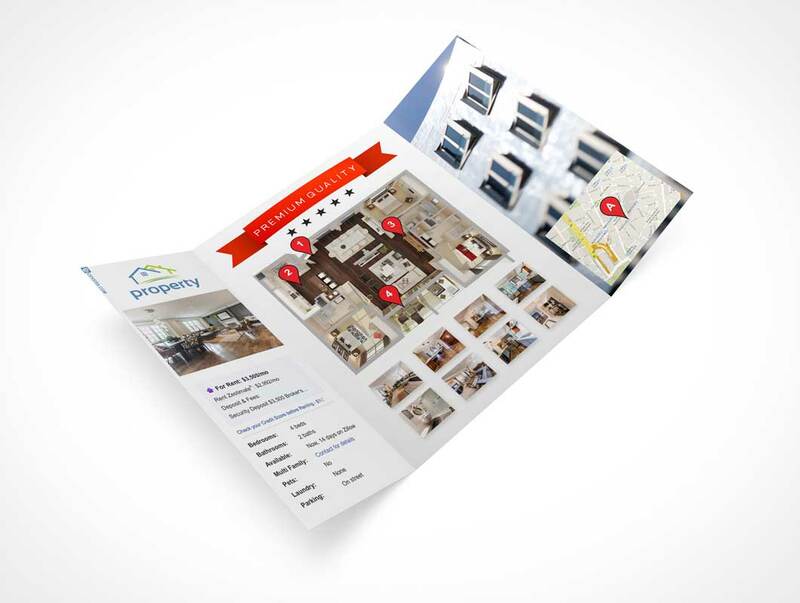 This PSD Mockup gatefold has two exterior panels which fold inward and meet in the middle of the centre panel. The final render is on a surface with a downward view of 45° with the gatefold itself rotated at 45°.